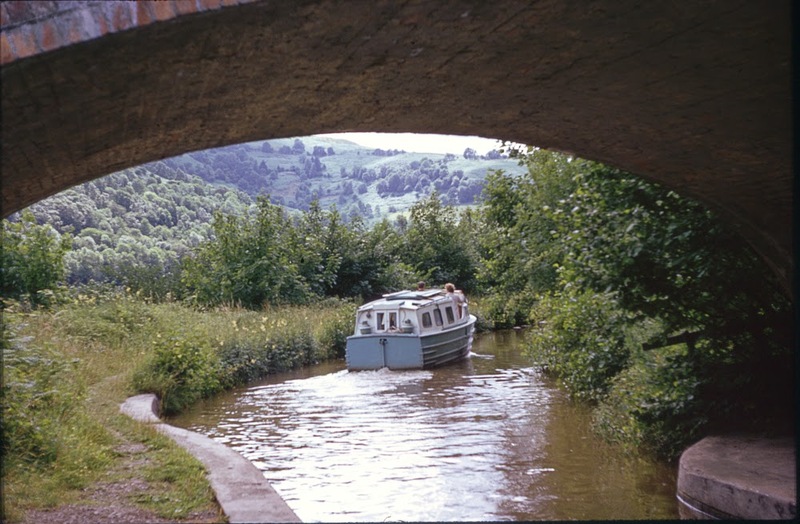 My road (or waterway) to becoming a canal anorak started in 1970 when my parents suggested a holiday on the Llangollen Canal. We had a leaky wooden hire boat which dripped water on to the sleeping bags when it rained - which it did - but no matter, I was hooked! Since then I've luckily had several friends with their own boats, and since moving to France ten years ago, I now have a whole new canal system to explore. The Llangollen is a good starter canal - it has a lot of interest. The scary-for-beginners Grindley Brook staircase locks (we got our feet wet there! ), tunnels, aqueducts, lift bridges and beautiful scenery. 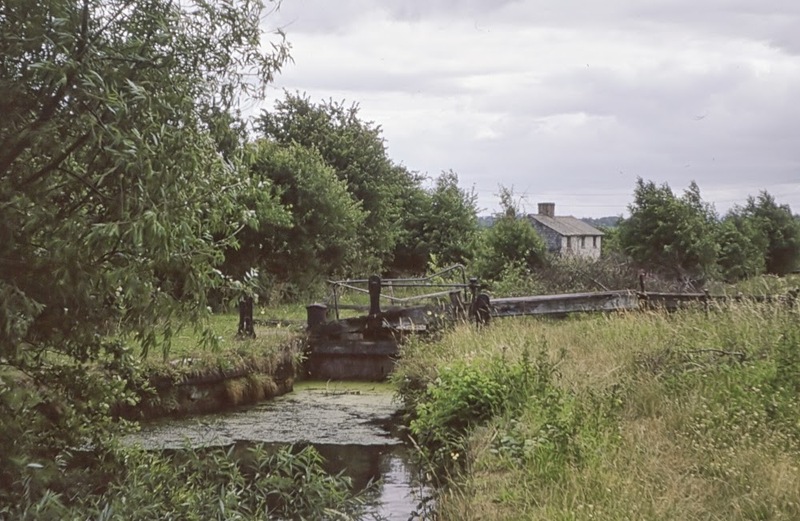 One of the highlights for me was the old Montgomery canal arm and the disused Frankton locks. Since then, I've had a complete fascination for old canals. 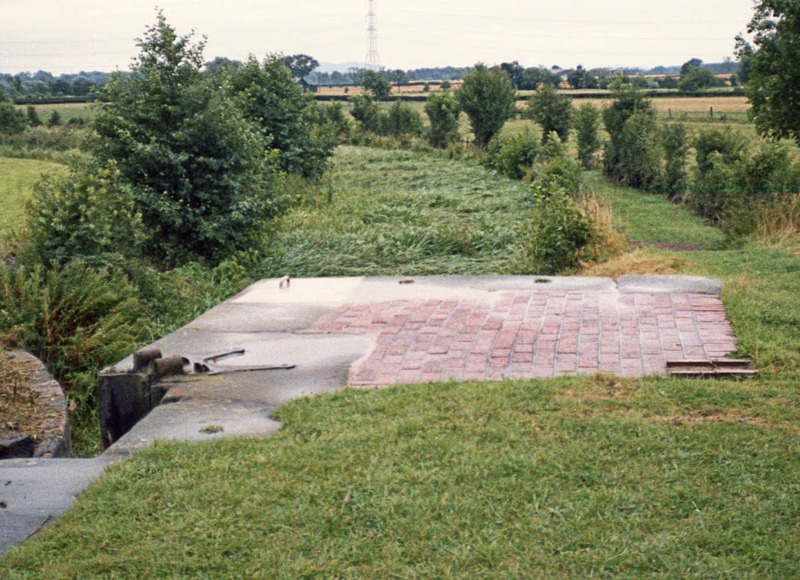 We went back on foot many years later and already restoration of the lock chambers was underway. 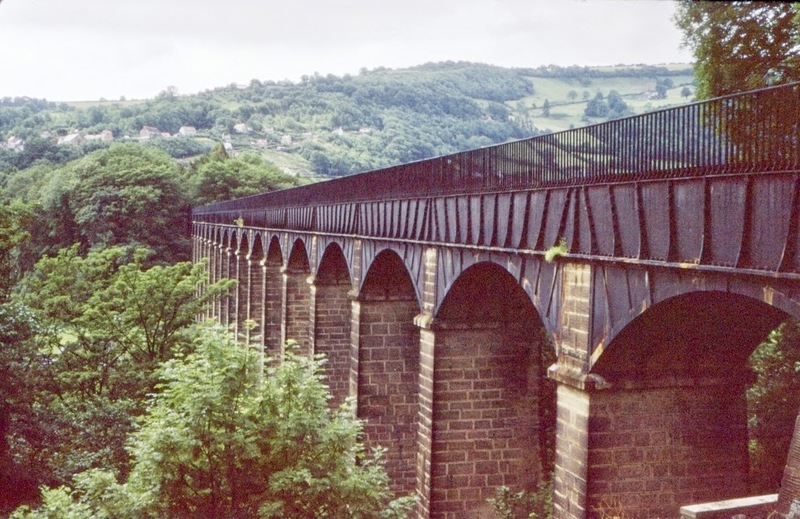 The 38m high Pontcysyllte aqueduct of course is the most well known. There was an old chap at the aqueduct who, for a shilling, would tell the story of how the mortar between the stonework was made with ox-blood and lime, and the channel's iron plates sealed with sheep's wool dipped in boiling sugar. Apparently they also had to blindfold the horses to get them along the towpath. How much of that is true I don't know, but I don't suppose the old chap is there anymore to ask. 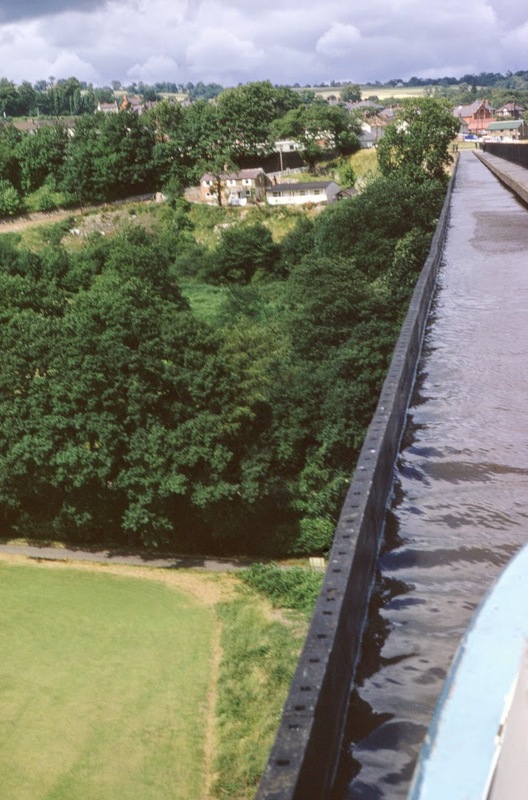 The aqueduct is not for those who are scared of heights, as the side away from the towpath seems impossibly close to water level with a severe drop to the river Dee and surrounding fields below. 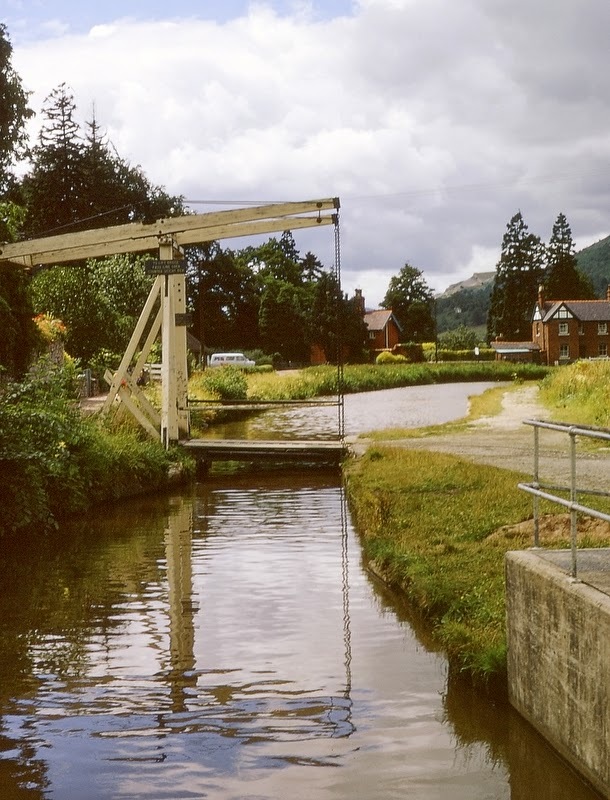 The lift bridge at Froncysyllte - this has changed a bit since 1970! So this is the start of my canal journeys, my only regret for past-visited canals is not having had a good camera (or a good camera operator!) and not taking enough photos.